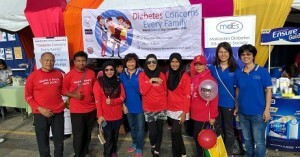 Malaysian Diabetes Educators’ Society (MDES) together with University Tunku Abdul Rahman, Sg. 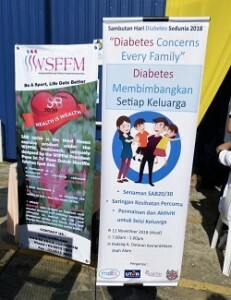 Long (UTAR) and Women’s Sports and Fitness Foundation Malaysia (WSFFM) jointly organized ‘World Diabetes Day’ celebration on 11th November 2018. It was held in conjunction with Majlis Bandaraya Shah Alam (MBSA)’s car free Sunday. The event started at 7.00 am and finished at 12.30 pm. Morning started with SAB20/30 exercise. The program started with SAB20/30 exercise which is a special set of exercise routines created by the president of WSFFM. We have included exercise in our program as exercise is an integral part of diabetes management. Exercise keeps the joints supple, helps to burn calories, thus helps weight management and keep us fit and healthy. The morning was sun soaked but it did not deter the huge crowd from joining the activities. 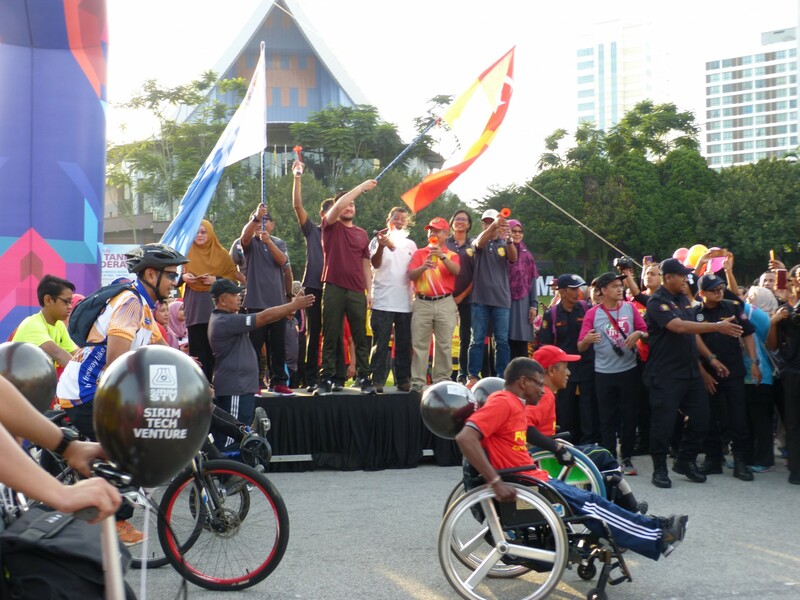 The Raja Muda of Selangor, Tengku Amir Shah with the Mayor of Shah Alam flagged off a 5 km walk which consisted of some Paralympics and flagged off a cycling event. 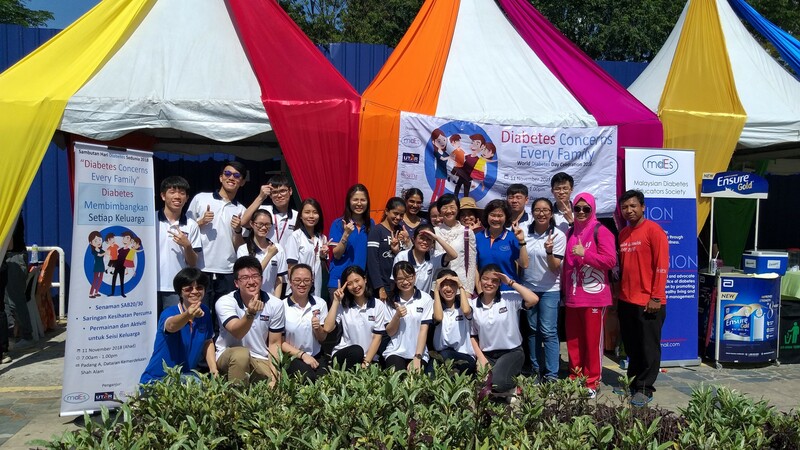 There were zumba, silat and many other activities organized by MBSA. Our booths attracted more than 200 participants. There were lots of fun and games for the families. Many parents brought their children to play games and mainly to learn about healthy eating and making wise food choices. The children were rewarded with a small gift after their participation. The education awareness booths attracted many adults as well. The monitoring was done mainly by the nursing students of UTAR. There were 3 dietitians who were on hand to give advice to the participants. Our program included participation from Abbott and Kalbe. Abbott handed out free Ensure milk drinks and Kalbe gave out free milk samples.